We can't give you a quote from Keir Couriers, but we have hundreds of drivers waiting to offer you a great price. 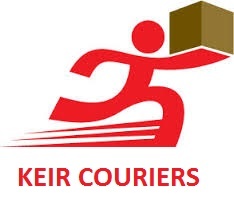 Have a question for Keir Couriers? No problem, send them a message and they'll email you back as soon as possible. If you have a more general question you might find it answered in the FAQ, or you always contact one of our brilliant customer service team. * Keir Couriers won't be able to see your email address. I would have no hesitation in recommending Alan, he was brilliant, hard working, accommodating, polite, really good bloke. Thanks very much Alan was a pleasure. Alan is very helpful and nice person. Great move. Alan was punctual, polite and very helpful throughout. He was a courteous and careful driver with in-London road knowledge better than the sat.nav. Highly recommended and he is now my preferred driver. The driver arrived very early and waited us patiently for half an hour. He was very nice, experienced, responsible and helpful. Highly recommended. Alan Keir and Keir Couriers are AWESOME! Such a pleasant and enjoyable experience. On time, works hard, flexible, AND GREAT ATTITUDE! REALY NICE GUY. I WANT HIM EVERY TIME I HAVE ANYTHING TO MOVE. Allen was so helpful and so kind. Helped me with the moving so efficiently and posivitly. If I had to use the service again, I would ask for Allen again. Alan arrived 10 minutes earlier, help us to load the van. Same when we arrived at destination. Polite, friendly, everything was perfect. I will definitely be using Keir couriers' services again. He certainly knows how to treat his customers, he does the job quickly but he primarily cares about the safety and security of your items. He is very easy to get along with and the job as a whole was thoroughly professional. He made our move stressfree and easy. Always there to help and hilarious on the whole journey. 2 1/2 flew by. Thanks for an easy move. Alan is a great guy. Very nice, respectful and easy going, he arrived a few minutes early and helped me put my stuff in his van very quickly. I had a great 6 hours long journey with him and didn't see the time fly. I highly recommend him. He deserves it. Prompt, professional and friendly. I couldn't have asked for more and if I had, I'm sure Alan would have provided it. Fantastic service. Many thanks! A very conscientious and courteous man. Due to the bad traffic he was a little late but he did let us know far in advance hence we didn't have to wait around for long and could already start moving bits downstairs, overall amazing service and great help with moving our 1 bed flat! Would book again! It was great! Helpful and respectful. I did enjoy the journey! I would recommend him! Alan was absolutely fabulous. Made such a stressful day very easy. Thanks a million! Incredible service, friendly helpful and very caring for the stuff we were moving. Out driver was wonderful. I cannot recommend him enough. On time, helped with moving (even though we did not put down for that service). He made what would have been a stressful day a quick and painless move. Would use again in the future. What a great guy the driver was, we actually had fun moving house! Alan was BRILLIANT. Friendly, courteous, took great care with our belongings, super helpful and an all round top bloke. Will definitely be using his services again next time we move! Our driver provided us with an excellent service, he went above and beyond and I couldn't recommend him more highly. Alan was absolutly brilliant, could not have been more helpful. Totally respectful of our items, fast, smooth, and made everything hassle free. Polite and professional at ally times, plus a really nice guy. Very helpful and considerate. Would highly recommend. Really nice bloke, helpful and bang on time. Would definitely use again. Fantastic service, really helpful. Made moving items and unloading really easy. Would definitely recommend. He was not on time due to traffic but he apologised and called me to make sure I was informed of his whereabouts. His driving is safe and no crazy turnings at corners. He also handled all my belongings with care while moving. 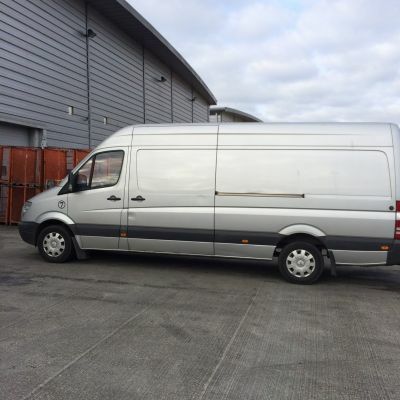 Overall highly recommend him to anyone who is looking for man and van. Alan was fantastic, super helpful and really friendly. Highly, highly recommend him! Driver was fantastic, made the journey such a pleasant one and would use again in a heartbeat! Extremely pleased, he couldn't have been more helpful and would highly recommend. Thank you. Great driver. Very careful with my items and helpful. He was absolutely amazing so helpful and kind! Absolutely Perfect. 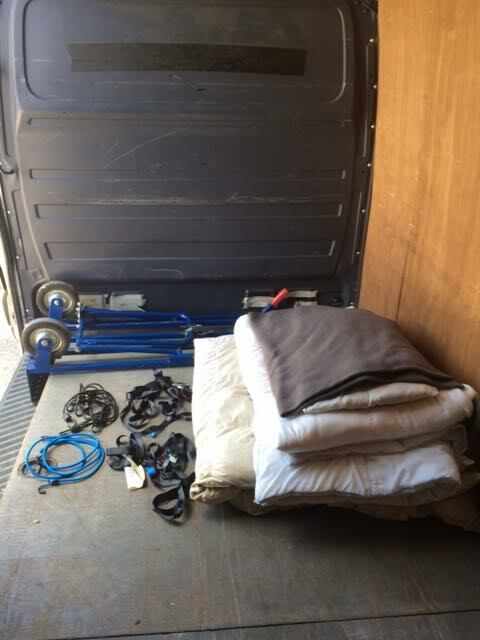 Alan is a really nice guy and it's amazing how much stuff he can get in the van! It was like Tetris. He made my house move go very smoothly which is exactly what you need during such a stressful time. I highly recommend him. I had to move a lot of my stuff from my flat to a storage unit, moving was made so easy and nothing was too much trouble - thank you so much :) would definitely use again! Alan was great! I asked if he could come earlier and my plans changed and he was very accommodating, helpful and friendly! Recommend him and would use him again. He was very good, very polite, friendly and helpful and I will be booking him again in July. Amazing driver, shared a few good laughs and he really knew the area! Vert helpful and pleasant driver even though the booking was for a late delivery. Very friendly, if we moved again, we'd use him! Alan Keir could not have been more professional and helpful if he'd tried. The "CompareTheVan&Man" website is easy to use, informative and "does what it says on the tin". Keir Couriers, one of their contractors are a credit to their brand. Alan Keir is a superb driver, easily combining his experience, SatNav info and vehicle manoeuvreing skills, to make light work off pick-up drop-off on a busy high street with limited space. Will definitely use CompareTheMan&Van / Keir Couriers again and recommend them. The driver was professional, very punctual, all the items were treated with great care and packed efficiently. We will definitely use his services again. Excellent service I will recommend it! Absolutely fantastic service! Will be using this guy again! So respectful, great attitude, so helpful!